"I&apos;m looking forward to spending many months together!" 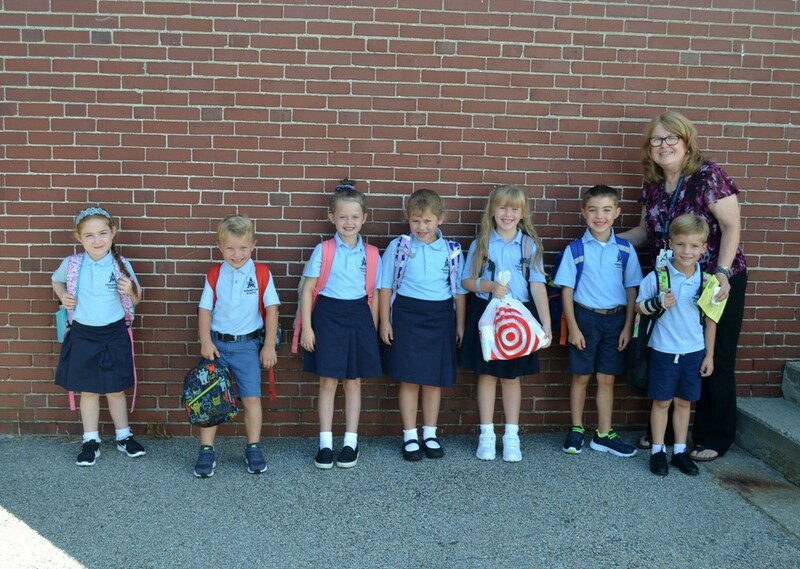 "Welcome to First Grade! I&apos;m looking forward to spending many special months together. This year in First Grade, you will be sharing many fun and exciting learning experiences with your classmates. Dinosaurs, apples, leaves, Native Americans, Thanksgiving, Christmas, New England animals in winter, plants, space, stars, planets, money, time, and the Rain Forests of the World are only some of the wonderful things which we will explore. So! Get Ready! I&apos;m set! Let&apos;s Go! Let&apos;s try our best and "Fly to New Heights with God as Our Guide!&apos; "